Rob Daviau’s legacy board game Seafall. Rob Daviau and the legacy game revolution. Seafall is a swashbuckling game of exploration that evolves over months of play. Across the hotel, similar scenes were playing out at dozens of tables—men and women rolling dice and moving plastic figurines while a single player addressed them in portentous, second-person language. “You are protecting five villages from a dragon,” a man in a lime-green polo shirt told his table. Everyone leaned in, delighted by the news. The Gathering of Friends is a semisecretive, invite-only congregation of board game aficionados from around the world. The 10-day event—which everyone just calls “the Gathering” in a way that quickly feels cultish—is an opportunity for designers, publishers, and board-games lovers to get together and test wits, indulge in fantasy, and generally hang loose among likeminded fans. And at the Gathering, in the small but growing world of board-game maniacs, Rob Daviau is a celebrity—a revolutionary. For Daviau, however, all that is just prologue. For years, he has been laboring over Seafall, a swashbuckling game of exploration that will be the first legacy game that isn’t based on an existing property. He first announced the game in 2013, hopeful that it would come out in a matter of months. Since then, it has been delayed over and over. It topped some fans’ “most anticipated” list in 2014. Then 2015. Then 2016. For a certain segment of board game nerds, the wait for Seafall has been like the wait for the first Kanye West album or the first George Saunders novel: a sense of anticipation mixed with a touch of anxiety, fear that an artist’s early promise won’t be fully realized. When I met him at the Gathering, Daviau had just sent a final draft of Seafall to the publisher. The game was finally done; preorders would begin in the summer, with a physical release later this fall. Daviau was eager to show off his game. We are living in a golden age of board games. For decades, the market in North America was dominated by products like Monopoly or Sorry—family games that relied on chance and were designed with a cruel zero-sum logic that all but guaranteed the night would end with some distraught sibling toppling the board and fleeing in tears. This has all changed. In the past decade, North America has seen an influx of “Euro-style” games, so-named because most originally came out of Germany. These are games with clever design that can make an exciting evening out of relatively dry subject matter. (A card game that simulates the thrilling ups and downs of the bean market is one favorite.) Like all games, from chess to soccer, the best board games have simple rules that provide the structure for infinitely complex strategy. Top-selling titles like Settlers of Catan or Ticket to Ride sell millions of copies. Board-game designers have become auteurs, their signatures appearing above the title on boxes. And in a digital age, it turns out that getting together with friends in real life to move plastic tokens across a cardboard expanse has only become more appealing. The kind of games that used to be relegated to hobby shops are now selling at Barnes and Noble. There are board-game cafés sprouting across North American cities. Last year, when news emerged that the Green Bay Packers offensive line had become obsessed with Settlers of Catan, it felt like the final act of conquest in nerdom’s long campaign to vanquish every corner of the culture. The throwaway remark stuck with him. “Why are games like Groundhog Day?” he wondered. Each time you take out the board, the story begins anew—all past experiences erased, the narrative forever reset to zero. The industry was changing, and Daviau sensed a chance to become more ambitious with his design. His idea was simple: What if a game didn’t fully return to its start state every time? What if it could continue into the future, changing as you played it? Daviau convinced Hasbro to let him radically reinvent Risk. In 2012’s Risk Legacy, instead of a campaign ending when you put the box away, the story would continue the next time you played. Players wrote on the board, making permanent alterations to the world of the game. They tore up cards and opened sealed envelopes within the box at certain moments of game play. Decisions made during a game in May would reverberate in November. Over the course of 15 games, an expanded narrative unfolded. With Seafall, Daviau has been able to build whatever world he wants. That freedom has sometimes been paralyzing. 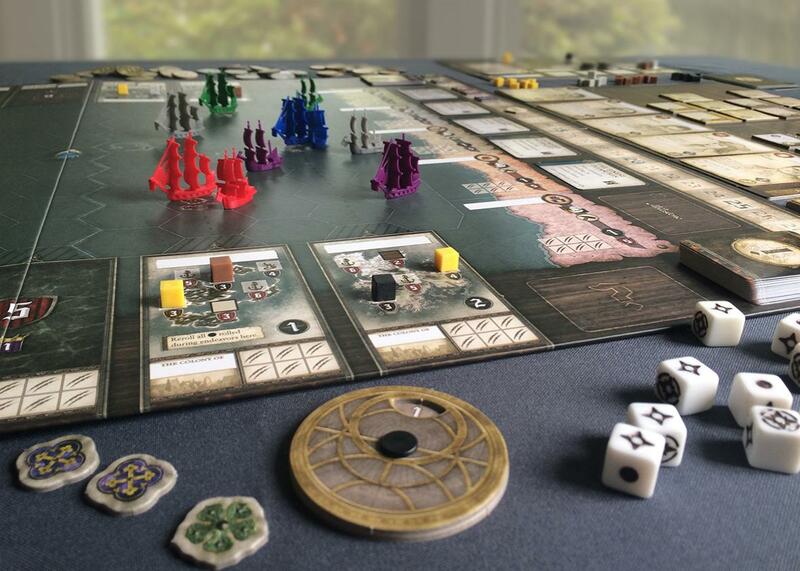 “If I was going to write an article about Seafall, I would call it ‘Adrift,’ ” Daviau told me. “At the beginning, I made the mistake of letting the game get too big.” A legacy game is a giant Rube Goldberg machine; a design mistake might only become apparent twelve games in. As Daviau worked on the game, it spiraled out of control, and it’s taken him years to rein it in. Daviau is now a fully independent designer, which means both total artistic freedom and total financial instability. Working on a single game for years means that he needs every game to be a hit. 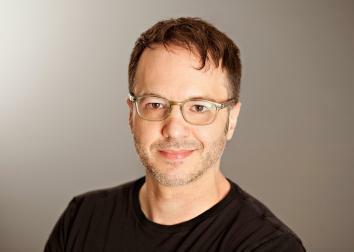 “Legacy games take a lot longer to make than normal games,” said Daviau. “It’s working right now because Pandemic Legacy is doing very well. But the first time I put one out and it bombs…” He trailed off, unable to finish the thought. At the Sheraton in Niagara Falls, I cautiously moved my ships to the closest island. The goal in Seafall is to venture into uncharted waters and earn glory by befriending or battling with the locals, gathering resources from newly discovered islands, or skirmishing or trading with my opponents. Daviau had buttonholed two board game fans to play the game with us—a mathematician with more than 2,500 games in his collection and an engineer who has been coming to the Gathering for 15 years. I was, needless to say, completely outmatched. On my first turn I chose an adviser, put my ships out to sea, foolishly decided to raid a settlement, and after an unlucky roll of the dice, suffered damage to my ship. The engineer, meanwhile, was happily skipping from island to island, collecting resources, and naming newly discovered lands in honor of his favorite civil engineers and Princess Bride characters. I ended the game in last place, earning the right to name just a single island (“Isle Bautista” in honor of a beloved Blue Jays slugger). But, of course, we had merely played the prologue. In the grand scope of Daviau’s saga, a bad first game was only a minor setback. There were more than a dozen games to go, with twists and turns that will only emerge as you move forward. The entire middle section of the board remained blank, with islands still undiscovered and a mysterious “portal” at the center that seemed to guarantee that the game will veer away from strict realism. After the game, we all shook hands. Daviau collected the tokens and cards. Around us, players happily moved tokens and rolled dice well into the evening. The people at the adjacent table continued to protect their villages against the dragon. Daviau greeted players who wandered over, curious to see his long-rumored creation. A photographer asked for a posed shot and Daviau folded his arms across his chest and jutted out his chin, half goofy. The photographer ignored him, carefully positioning the plastic boats across the cardboard sea and crouching down to get his shot. Whether or not Seafall is the masterpiece everyone has been waiting for is impossible to tell from a quick play in a hotel lobby. What’s certain is that its sheer ambition means that it’s a work that will advance the form. Like a long novel or a serialized TV show, a legacy game exists outside the time you spend with it—the narrative tugging at your mind as you eat breakfast, take your shower, begin a long drive home from Niagara Falls. At the Gathering, boxes and boxes of games were piled up around the edges of the lobby and ballroom, their stories wrapped up, tidy and complete. Seafall felt like a strange outlier, sitting in its box, waiting for the next game.